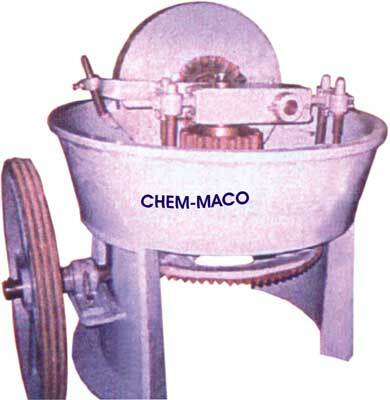 We are reckoned as a prominent Edge Runner Machine Manufacturer, Exporter and Supplier based in India. Edge Runner Machines provided by us are used in different industries and products where binder or agglomerate is blended into some material. Heavy duty mullers and rollers rotate inside Edge Runner Machines. Usually Edge Runner Machines are used for the applications where intensive crushing, shearing and mixing action takes place. Further, Edge Runner Machines are available with granite rolls and a pan.